WNCAP is a multi-faceted organization, offering a variety of opportunities for those looking to serve. We could not do the work we do without the support of our hundreds of committed and energetic volunteers. Our goal is to offer volunteer experiences that are meaningful, enjoyable and most importantly, help the people we serve. WNCAP volunteers join the fight against HIV/AIDS through direct client support, educating the public on HIV prevention, and assisting with our ongoing advocacy, outreach and fundraising projects. If you are interested in volunteering, please fill out the form below. 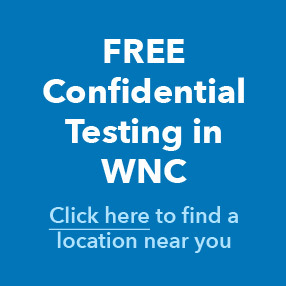 For more information, please contact Chris at wncapvolunteer@wncap.org or call (828) 252-7489 ext. 315. Okay to identify as WNCAP if we call you? I realize I am making a serious commitment to volunteer my time and energy to assist WNCAP. I further agree to maintain complete confidentiality in respect for the privacy rights of all direct and indirect participants in WNCAP’s activities.